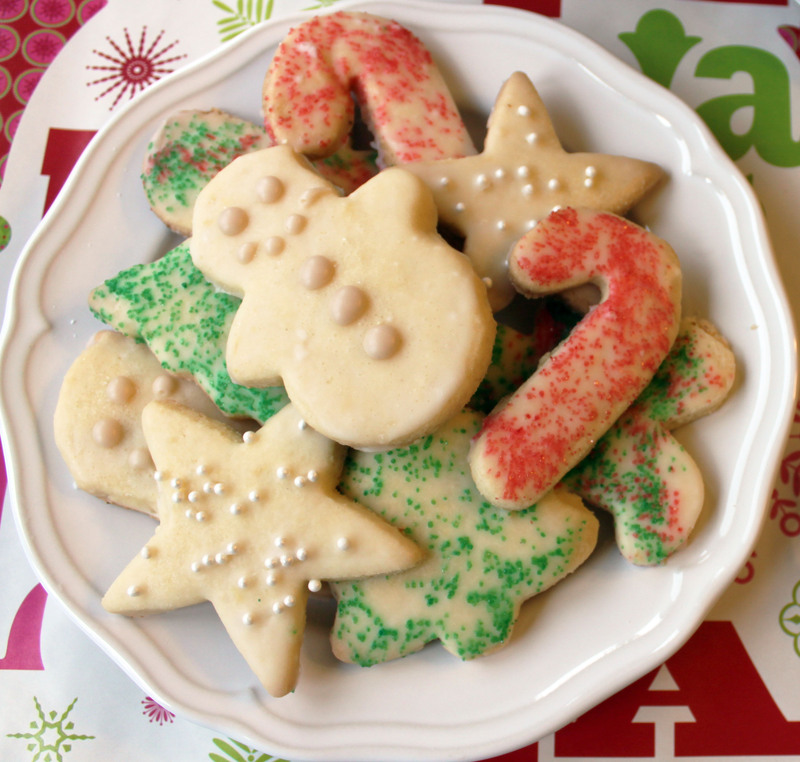 Day two of my Allergen Free Christmas (after Christmas) cookie posts features these delicious gluten free, dairy free, soy free, nut free Egg Free Lemon Sugar cookies. These were the first type of cookie to disappear at our family Christmas celebration (sorry Santa, I’ll save you some next year)! The two people that gobbled down the most of these? My husband and my gluten eating brother in law. That’s always a good sign! These are sweet, tart and allergy friendly! 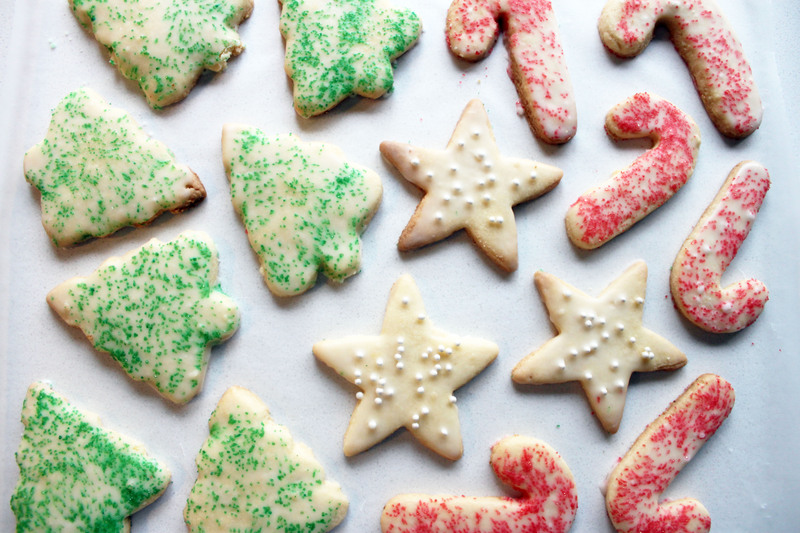 The perfect cookie to make at any time of year, not only for the holidays! I plan to make a few of these to give to my husband for Valentine’s Day. Check out the cookie cutters I just ordered at the bottom of the page. I’ll be making Lemon Sugar Cookie Sweethearts! Just to let you know, this post may contain affiliate links, you can read the disclosure here. 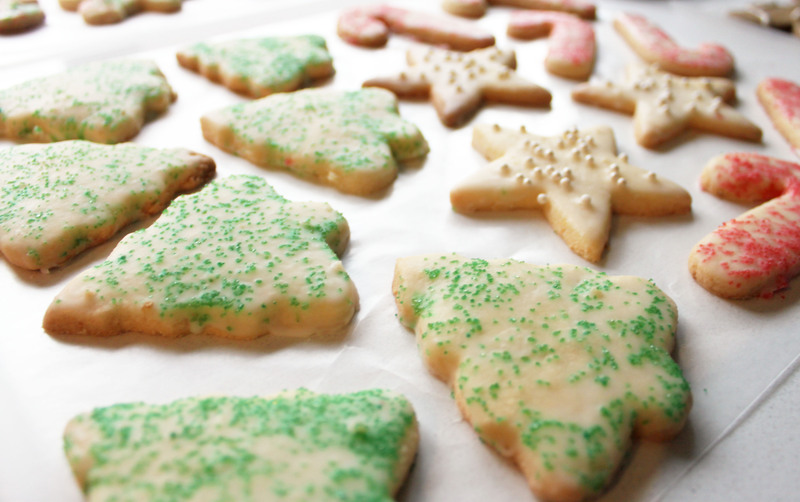 In your KitchenAid Stand Mixer , mix sugar cookie dough base with lemon juice and zest until incorporated. If sticky, chill for 15 minutes or so before rolling. Dust table and rolling pin with rice flour and roll dough to 1/4″ thickness. Stamp out cookies with some adorable cookie cutters (see the pics below, just bought some of those babies for Valentines Day) and place on a cookie sheet. Bake for 12-14 minutes at 350 degrees. Remove and let cool. Dip in Lemon Icing and sprinkle with sugar if desired (recipe for icing below pictures). Mix powdered sugar and 2 tbsp lemon juice. Add additional lemon juice if you want a thinner icing (or more powdered sugar to thicken it). 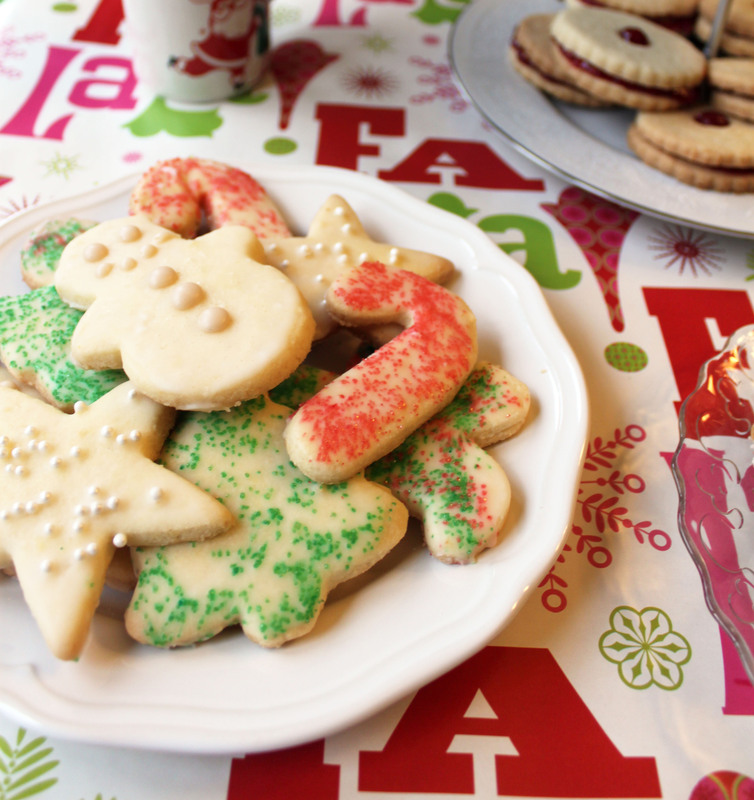 Dip cookies in icing, sprinkle with decorations and lay flat to dry. 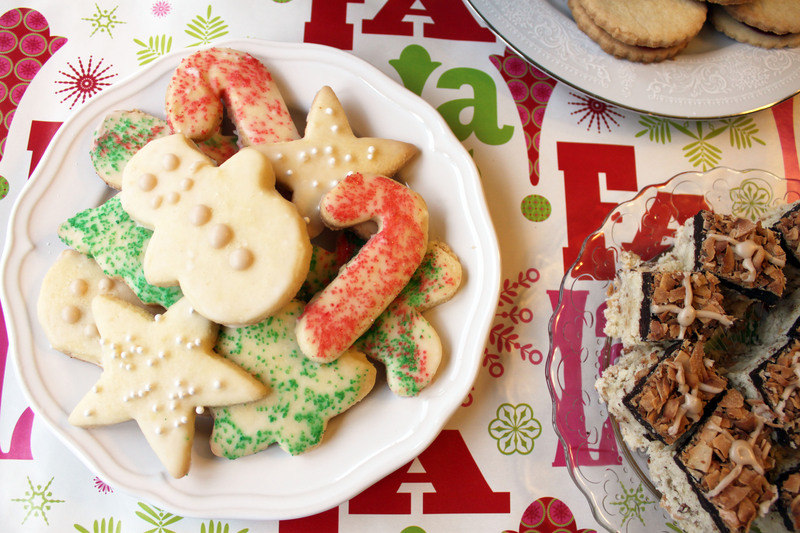 You can also thicken the icing a bit with more powdered sugar and make some cuties like these snowmen!